Oregano oil is so powerful that it may rival common antibiotics when it comes to preventing and treating different infections. It provides antifungal, antiviral, and antibacterial effects without causing side effects associated with antibiotic overuse. But, the benefits of this oil extend beyond just controlling various infections. According to the American Chemical Society research, this herb contains the highest amounts of healthy antioxidants in comparison with all herbs, fruits, and vegetables. For example, it has 4 times more antioxidant activity than blueberries, 12 times more than oranges, 30 times more than potatoes, and 42 times more than apples. Researchers explain that the strongest antioxidant in oregano is the rosmarinic acid. Antioxidants are compounds that help prevent free radical damage which is associated with heart disease, cancer, stroke, premature aging, etc. That’s why it’s recommended that we consume antioxidant-rich foods on a daily basis. When it comes to oregano oil, it contains the antioxidant carvacrol which is its main active compound. This is the reason why the oil of oregano is able to fight many types of bacteria like Staphylococcus, E.Coli, salmonella, Candida albicans, listeria, etc. 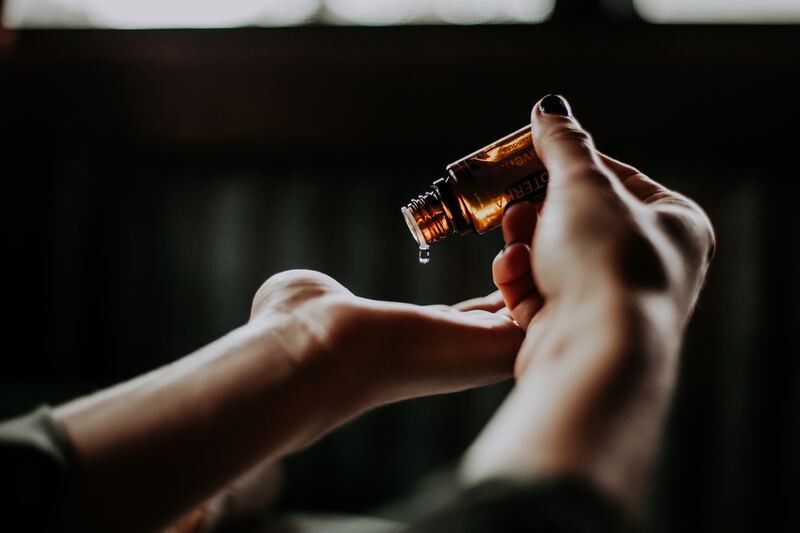 A study published in the journal Global Advances in Health and Medicine says that a combination of carvacrol and thymol found in herbal remedies can help treat small intestine bacterial overgrowth. This powerful combination can also protect smaller cuts and scrapes on the skin from bacterial infections. 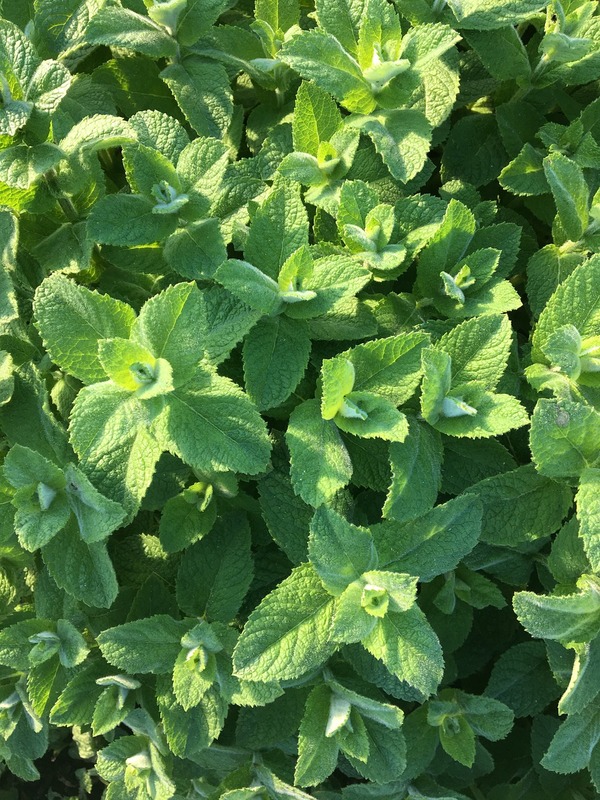 According to animal and in-vitro studies, carvacrol possesses anti-inflammatory properties, which is why oregano oil is believed to help reduce inflammation as well. Another study discovered that the main active compound in oregano oil, carvacrol, can help prevent the creation and buildup of fat tissue. This discovery implies that the oil can even aid weight loss. 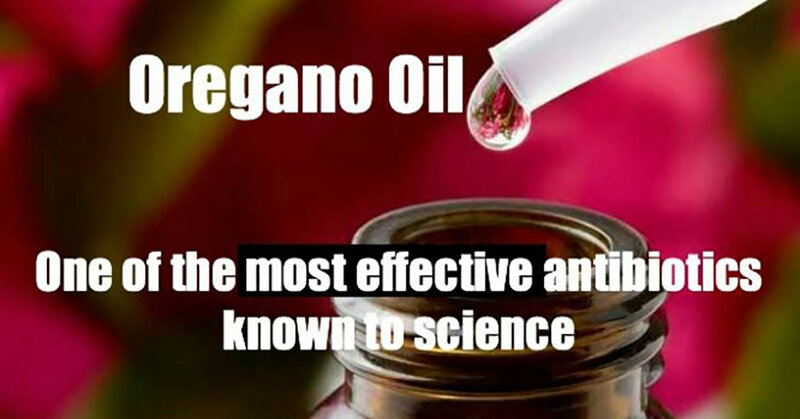 However, carvacrol is not the only reason why oregano oil is so beneficial to our health. The oil contains good amounts of copper, iron, calcium, manganese, zinc, magnesium, potassium, Niacin, beta-carotene, vitamin C, and boron. Make sure you choose 100% pure, raw, unprocessed oregano oil that’s steam distilled and free from additives. Also, don’t forget to look at the carvacrol percentage – the higher, the better. Just have in mind it can vary from 50-85%. Before you start to use the oil, check to see if you are allergic to it by pouring a drop on your arm and waiting to see if it causes any reaction. Also, don’t forget to dilute it with olive oil, coconut oil, or other carrier oil because it’s strong. The usual amount is 5-6 drops of the oil for every ounce of carrier oil. Although oregano essential oil is completely natural, you shouldn’t take it more than 10 days at a time since it’s still an antibiotic. It’s best to use it sparingly under the guidance of a healthcare practitioner.